By the time this recording, the spring tour will have just started. The rehearsal time was quite long for this tour. Usually, as was for the previous two concert tours, it felt like there was about a week of rehearsals and there was never enough time to remember everything. However, because there was a single release as well, the rehearsal time was longer. Typically, the dance teacher doesn’t have enough time to teach all of choreography, however there was even enough time during rehearsals to teach new formation dances. Kanon mentions that the 9th generation felt they really had to pull the whole performance up, being on top and all. The setlist is also packed with Morning Musume history, so there is a lot of pressure to perform these songs with great importance and to the best of everyone’s ability. 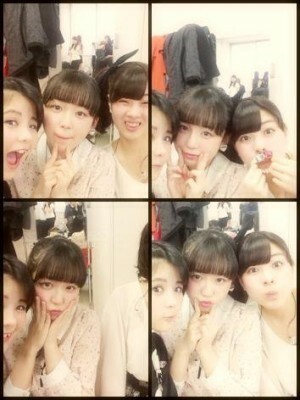 Kanon is really looking forward to the first day of tour, particularly because she wasn’t able to perform at the Hello! Concert due to her previous foot problems. Message 1: This writer mentions they took their first trip on the Nagano Shinkansen and heard something that mentioned “Harunan” over the speakers. After, they went on a sightseeing bus and they thought they saw a parking area to be called “Goto Maki” in romaji. Has Kanon noticed anything like this? Kanon apologizes and says she isn’t good at paying attention to smaller details. Nor is she good at remembering kanji, so noticing small details would take extra concentration. But, as far as seeing things out of place that share Morning Musume names, Kanon recalls seeing a train station called “Ikuta” once. Cool Story. Message 2: This mail has a simple question: what part of a person do you notice first when you first meet someone? Kanon thinks for a moment, and decides she notices the smell of a person first. If they have a nostalgic scent, Kanon really notices it, particularly if they smell like spring. Kanon will think things like “Ah they smell like my mom, they must be nice” or like “Ah that persons perfume smells nice; they seem nice,” and doesn’t particularly notice any body part first. Although, during the Morning Musume auditions Kanon took particular note to Erina because she was wearing a flower patterned dress. 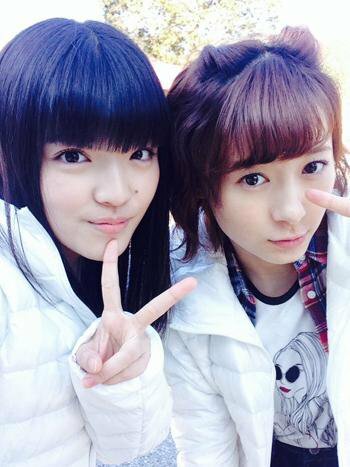 Erina came off as bubbly and had a nice scent so Kanon thought “Ah she smells nice so she must be a nice girl,”. But now, Ikuta doesn’t smell as nice. Back then, Ikuta was going for a youthful appeal, so the flower patterned dress helped Kanon’s image of her. But for the most part, she doesn’t really notice anything about someone first; just their smell, if its nice. You heard it from Kanon first: Erina stinks. Continuing on from last week, we’re again presented with the special programme ‘Pizza-La presents Pâtisserie Airi’, with Airi reminding us that ‘pâtisserie’ is French for a sweets or cake shop. 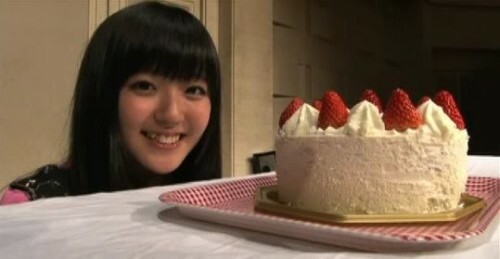 Again, Airi would like to continue giving a swee~t talk. She had been worried about something last week, as it was her first time doing a radio programme by herself – whether or not the listeners could catch her words. And so, she’ll try her best to make sure the message gets to your ears. Airi wonders if she’ll be all right, unsure whether she’ll be able to come to a conclusion by herself. Previously, Airi-sensei used to drop by when it used to be the three of them. Airi can’t call on her by herself though, it’d get awkward. This time, we have a letter from a guy who’s currently in the process of getting his driving licence. His motive – with a car, he can go on dates regardless of the weather, and he doesn’t have to care about missing the last train (Airi: ‘Indeed!’). He’s currently working part time to pay for the fees. However, his girlfriend has gotten a foreign-make sports bicycle, and has been going cycling with people he doesn’t know. He worries that perhaps, even if he got a licence, his girlfriend wouldn’t be that enthusiastic. And so, he asks for advice. Airi berates this listener for being so timid. If it were a foreign-make sports car, then there might be cause for concern… but it’s a bicycle! A vehicle you operate with your own feet! Even if it were a motorcycle or a moped, Airi would sympathise with his worries. But a bicycle, well, you can argue that they’re difficult to use in certain weather conditions, like rain, wind, or snow. She thinks that a car would definitely be appreciated. Airi starts off by explaining that this week and the next, she’ll be hosting the special programme ‘Pizza-La presents Pâtisserie Airi’. In French, a ‘pâtisserie’ is a shop that deals in sweets and cakes. So she’d like to deliver a sweet talk to everyone, as sweet as cake, and she’ll do her best in her own way. It’s the first time she’s doing a radio programme by herself, without anyone else with her in the recording booth. She’s half lonely, and half uneasy over whether or not she’ll speak smoothly. Hopefully her words will get to everyone, as there are no subtitles when it comes to radio programmes. Airi: Yo, female pro teacher. Airi herself doesn’t have a nickname, despite Suzuki being a common name in Japan (second most common, after Satou). It turns out that Airi went over well enough that it stuck. Tsunku♂-san once gave her the nickname ‘Osuzu’, but the Osuzu call never caught on with the fans at concerts. Airi thinks that having a nickname isn’t a bad thing – It’ll make her memorable to her students. She suggests the listener build up on that nickname in the classroom, and make good memories for her students. Having a nickname should be something she should be happy about. Airi: You know, like you could go ‘dosukoi, dosukoi’… Wait, that’s sumo. March is almost over, huh. That means its about time for graduation season and the new school year to start. Also, Kanon’s sister is in 6th grade now. Kanon’s sister has always been more serious about her studies than her and a proud moment of late she became the student council president! Apparently back in elementary school, Kanon tried for this position too, but didn’t make it. Because Kanon loves her sister, she took her to Tokyo Disney Land as a congratulations. Moving on, Kanon shares that she is entering her second year of high school and feels like everything in her life moving quickly. She doesn’t know how long she will be in Morning Musume after she graduates, but she is going to treat every day with importance. Message 1: After the Osaka Hello! Concert everyone went out to get yakiniku. The writer asks for Kanon tell a story that wasn’t shared about that day. It was a super fun meal in Osaka, Kanon recalls. Because Morning Musume ‘15 is so large, the group had split up tables. Kanon sat with Iikubo Haruna, Ogata Haruna, Kudo Haruka, and Nonaka Miki. 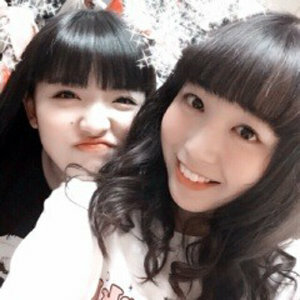 The 12th gen duo get along very well, Kanon thinks. It seemed like Miki hadn’t really been to a proper yakiniku place, so Ogata was explained the process to Miki throughout the dinner. The five of them had a rambunctious, fun time teaching each other how to properly cook yakiniku, eating casually without the usually seniority hierarchy getting in the way. Aside from that story, Katsuta Rina and Kanon are pretty goods friends so, at some point during the dinner Kanon went over to chat with Rina. When Kanon came over Rina responded positively with a “Oh I’m happy you came over!”, however, Natsuyaki Miyabi happened to be at the table next the two. Miyabi started talking to Rina and the two ended up just talking to each other the whole time, making Kanon a little sad. She was hoping to talk to Rina for a little well but oh well, there’s always next time. Jeez, way to ditch your friend, Rina.